I’ve caught a few carp and while I have seen them wagging tails like a bonefish, I have not experienced other bonefish-like qualities. They say they are there, but for me, those qualities prove elusive. I have not been redfishing. However, my sense of it is more like bonefishing than, say, carp fishing. 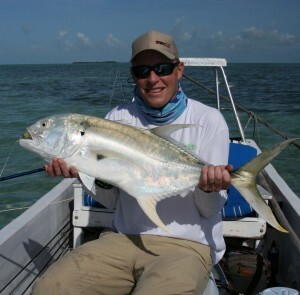 It seems like a mix between bonefishing and fishing for jacks. I’d like to do it. 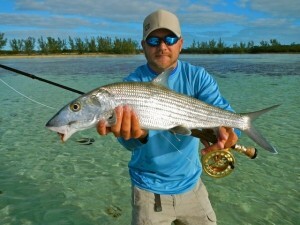 Of course, I’d also like to go to the hundreds of places I could bonefish that I have yet to visit, so I’m torn. The SWC guys recently went to NOLA for some Reds and… well… it just reinforces my interest in doing that. Derek with a very nice looking Red. 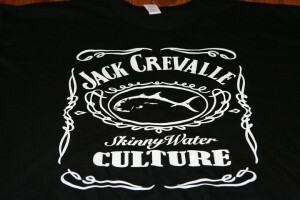 The guys over at Skinny Water Culture are killing it. Fantastic stuff. See, this is why I put the Skinny Water Culture Blog in the Top of the Heap category. These guys are simply crushing it. They have found a core of solid guys (a couple of whom I know a little bit, which is fun) and they are giving them pretty much free reign to post up about what they are doing… and what they are doing is catching fish and living the lifestyle that SWC was born to represent. Two days ago I stood knee deep on one of the prettiest flats I have ever seen. The flat had little patches of grass, coral and the sand was pristine. The only person in sight was my wife who was laying on the beach a few hundred yards away. Chris loves the Bahamas. That’s understandable. I do too and I can’t wait for my next Bahamian adventure. I’m a fan of Skinny Water Culture. They make some of my favorite gear and they are a young company, trying to make it in the big game of apparel. Did you know they have a blog? They do. Here it is, and some familiar faces in there for me as well. Derek, who went out there from Tahoe, and Chris, who I met in the Miami airport. Awesome. Jacks often are looked down upon. I’m not sure why that is. I think they are kind of awesome. They pull HARD. They can be taken on poppers and plugs and clousers and pretty much anything else that gets in their way. 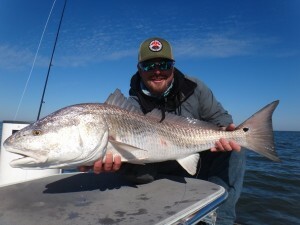 My biggest saltwater fish to-date is a Jack and I enjoyed every minute of that fish, including several before it was hooked and a great number of minutes after. 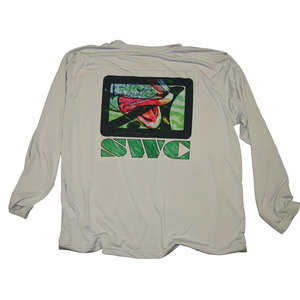 These are some of the reasons I’m happy to see the good folks over at Skinny Water Culture devote a shirt to the good fish… we’ll see how long they sell it before the C&D letter arrives. My suggestion would be to order soon. Beeg. Caught out of El Pescador in Belize. 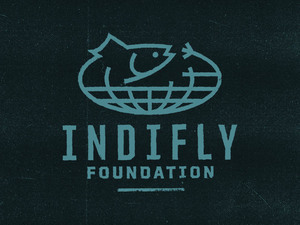 Pretty cool little vid over at the Skinny Water Culture blog. Needless to say… I like it. I was a bit skeptical at first but the first flat (and only flat) we pulled up on was loaded with fish, some BIG fish, tailing away happy as could be. via Skinny Water Culture: Bone on a Big Boat. 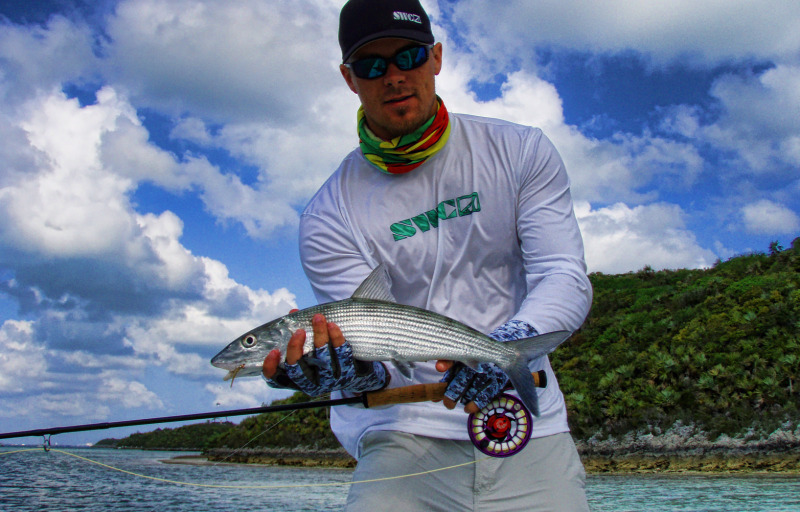 Nassau is not known as a bonefishing destination… more for cruise ships and resorts… but there are bones there and the good folks over at SWC caught some.